Serra Goes On Profanity Laced Tirade! T.J. Dillashaw’s recent drug test failure for EPO has caused a stir in the MMA world, rightfully so. 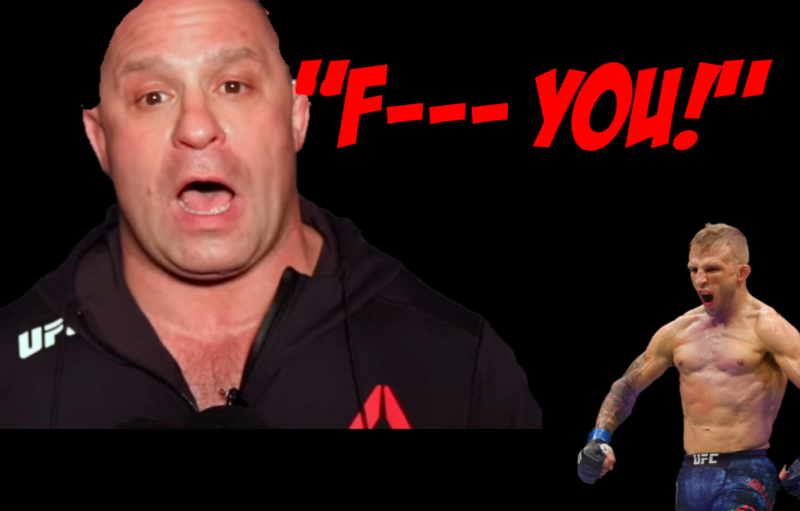 Recently, former UFC Welterweight Champ Matt Serra had some very harsh things to say about it. Serra was on UFC Unfiltered, discussing the situation. It was here, that Matt Serra would put Dillashaw on notice, not holding back. Serra went on to discuss the cloud of doubt that has now been put over Dillashaw’s career. Cody Garbrandt recently discussed his thoughts on everything, questioning the losses. Serra also had words to say about Cody. Matt Serra went on to discuss the possible long-term affect the two knockouts would have on Garbrandt. Although Serra is, by far, not the only person saying such harsh things about Dillashaw, he has definitely direct about it. However, Dillashaw’s team has been nothing but supportive of him. That being said, it will a two year long road for Dillashaw to get back to the octagon.